Begin by writing a program to make Finch draw a square. After writing and testing the program, take a look back at what you created. Did you use a repeat block? If not, how could you include one to create a loop in your program? Now try writing a program to make Finch draw a rectangle where the length is twice the width. Write one program that uses a repeat block and one that does not. How are these programs similar to the square? How are they different? What types of angles are included in your shapes? What do you have to change in order to change the angle? How do you change the repeat block when you are drawing different shapes? Are there any shapes that you cannot use a repeat block to draw? 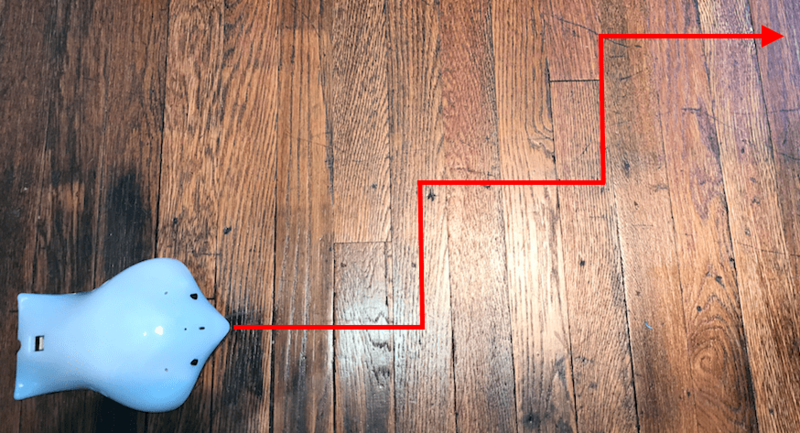 Try programming Finch to move like it is climbing stairs. Make it climb at least 5 steps. Is using a repeat block to create a loop helpful? Why or why not?